When it comes to Japanese cuisine, there’s a lot, but don’t you think ramen noodles are one of the most popular? Eating them at restaurants are fine, but there are cooking classes that will teach you how to cook ramen noodles from the soup. 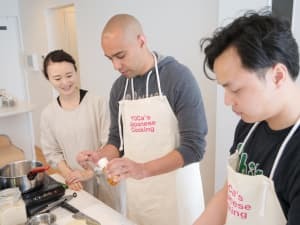 At YUCa’s Japanese Cooking, a cooking class in Tokyo, I experienced making ramen noodles and dumplings. First, let’s look that the history of ramen noodles. Ramen noodles were originally Chinese food, and were introduced to Japan during the Edo period. 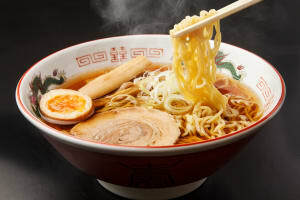 At that time, it weren’t popular between common people, however since the Meiji period when Chinatown was opened, ramen noodles with various taste and ingredients were developed and spread. 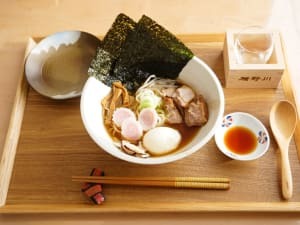 In this cooking class, we can experience making shoyu ramen (soya sauce ramen), the origin of ramen noodles. The lecturer Yuca, being a chef, was also a foog writer at Toronto and New York. She explained to us the origin, traits, and seasoning used in Japanese food very precisely. “You don’t have to worry about your cooking skills, just bring your appetite” says Ms.Yuca. In this particular lesson there were many beginners, but we were able to make ramen noodles and dumplings with Yuca’s lecture whilst reading the recipe of ramen noodles. We started by boiling pork fillet and making soup from stock. “I used to work at a marketing company. But in 2011, there was a huge earthquake in Japan, and I was scared that I might die. Since then, I was convinced to do what I like, and what makes other people happy as well; and that was the start of my cooking class” says Ms. Yuca. She insists that the most important thing is to answer to what the customers want. For instance, her recipe is based on the needs of the customer; whether they are vegetarian, have allergy, foods that they cannot eat, and even their cooking skills, which is her motto. Everyone is welcomed to attend her cooking class filled with kindness and joy.